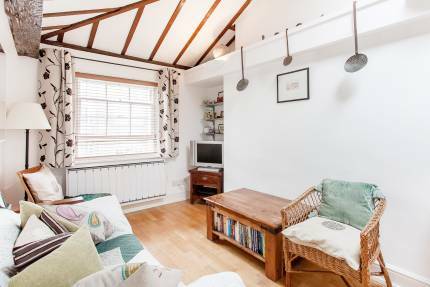 Packed full of character and bursting with charm, this one bedroom flat is perched on the top floor of an attractive Georgian building. 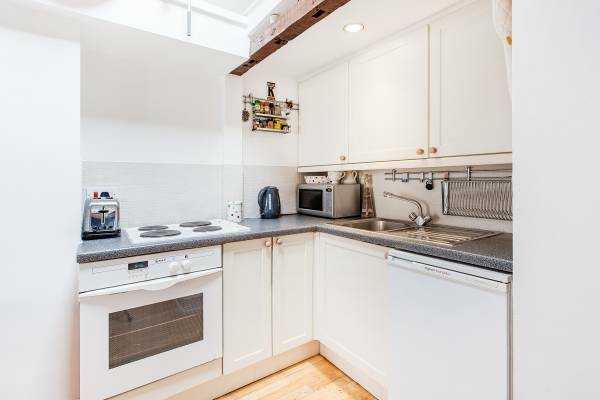 The bright reception room features a vaulted ceiling and an open plan kitchen. There is also a vaulted ceiling in the bedroom and ample mezzanine storage throughout. 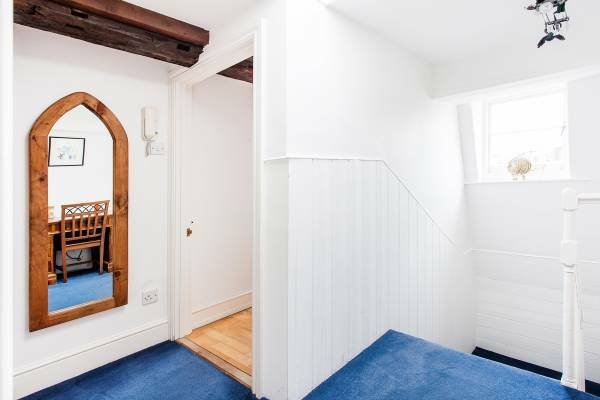 Other features include a spacious shower room, skylights and an abundance of exposed wooden beams that contribute to a cosy atmosphere. 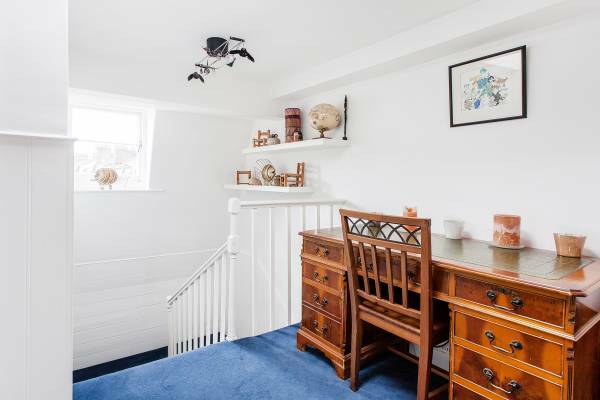 Additional space in the hall is ideal for a desk and a window on the staircase offers rooftop views over the cobbles of Warren Mews. 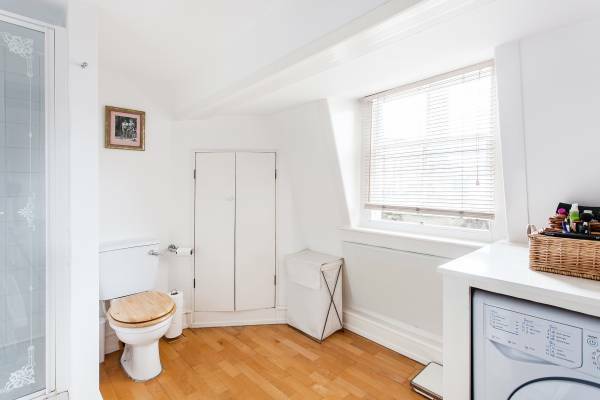 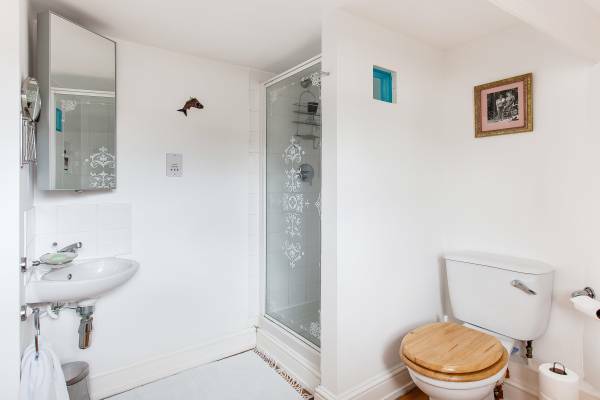 This property comes with a share of freehold and low outgoings. 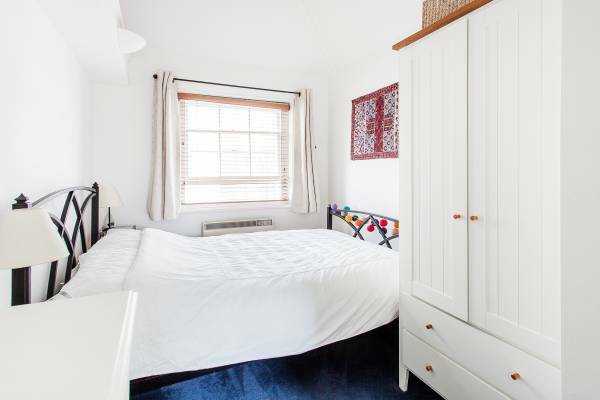 Ideally located for the transport links at Warren Street and Great Portland Street, you are also a short stroll from the greenery of The Regents Park.